MGMT30012 Management Consulting is a unique subject offered in both semesters that provides you with the opportunity to apply your university learning in a real business environment and engage in a business challenge of genuine strategic importance to a client organisation. You will be required to draw upon multi-disciplinary knowledge, skills and theory acquired from your previous studies, working in a student consulting team on a project specified by the client organisation. learn how to operate effectively within a commercial working environment. Management Consulting provides a unique opportunity for you to further understand, enhance and demonstrate your capabilities in the workplace context and in doing so get a valuable head start in your career. 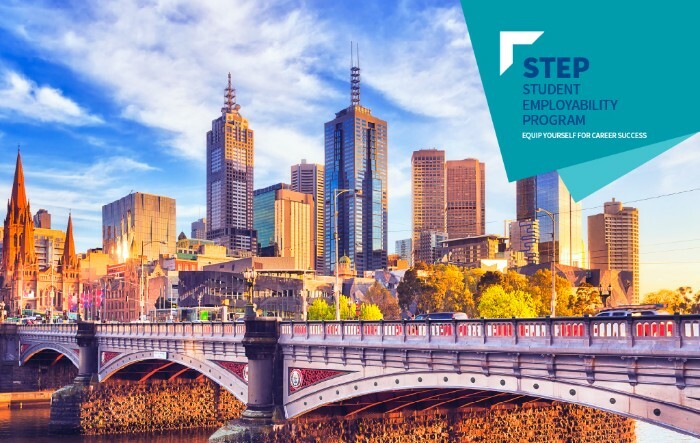 Students have worked with clients in a range of industries and organisations, from large Australian and multinational companies to niche agencies and not-for-profit organisations. The list of clients is different each semester depending on whether the organisation has a project available. You'll also have a chance to be part of the winning team that receives the $2,500 FBE Management Consulting Team Prize. "Management Consulting was an extremely challenging subject and unlike any other experience I have encountered. During the project our team had to operate with ambiguity and narrow down a broad project. It was these challenges that made the journey one of the most rewarding, satisfying and enjoyable experiences I have encountered. I quickly learned the importance of teamwork and building strong relationships in the real world, and also how easily conflict can impede on the progress of a project." Read more about previous Management Consulting student experiences here! How does the subject work? After the application, selection and team allocation period, teams visit their clients each week from Week 2 to Week 11 of the semester, usually spending a 4-hour block of time either in the morning or the afternoon. At the client, teams will explore and evaluate an open ended business challenge, which may involve interviewing stakeholders, conducting research or other activities required for successful completion of the consulting project. A client facilitator at the client organisation will provide guidance, resources and facilitation as needed. Teams are supported by an academic supervisor through weekly lectures/seminars, consultations and assignments designed to assist students in completing their consulting project. The final output is a professional-standard team report that analyses the business challenge and proposes recommended courses of action for the client's consideration. Students are not eligible to take both Management Consulting and Global Management Consulting within their degree. Management Consulting is available as an elective to all Bachelor of Commerce students only. Applications will be checked against the eligibility criteria (as above). Participation in an interview (invitation only). Students will be initially shortlisted on the basis of their Weighted Average Mark (WAM) and the shortlisted students will then be invited to attend a 1 hour interview session which will be used to make final group selection. For current University of Melbourne students: the WAM is an average of all subjects completed in the BCom plus the grades from any subjects credited towards the BCom as a result of transferring from another University of Melbourne course. The grades from subjects taken at another institution (for example, from transferring from another university, or from exchange), will not be considered. Exchange and study abroad students are welcome to apply. Please send your expression of interest to fbe-capstonestudies@unimelb.edu.au. The CV submission must not exceed one page in length and must contain a head and shoulders photo of yourself. Name the file using the following naming convention "FirstnameLastname_CV.doc" and save in PDF format. It is not possible to request a specific client organisation or project. Students are carefully allocated into teams based on the needs of the project, the need to form a multidisciplinary team, and the availability times of the client and the students. The following awards are available as part of the Management Consulting subject as determined by the Academic Subject Coordinator. There is no separate application and successful students will be contacted directly. $2,500 team prize awarded by the faculty to the highest achieving Management Consulting team at the conclusion of the semester. Management Consulting is a very challenging subject and unlike any other coursework subject you may have taken in the past. Students will be faced with ambiguity and must operate with a great deal of autonomy. However, it is an exceptionally rewarding individual and team experience, and a unique opportunity to work on a real business problem with industry experts. What if I am not majoring in management? Students do not need to be majoring in management to take this subject, in fact, we try to ensure that we have a mix of disciplines in order to cover the various needs of the projects. However, students must be enrolled in the Bachelor of Commerce. You shortlist students for interview based on their academic average, what is the minimum academic average required? The minimum average that we require from all students taking part in the consulting subjects is 65%. However, as we have a fixed number of students that we interview for each program, the academic average cut off changes every time (depending on who applies) and is often higher than 65%. We encourage you to apply for the program if you have a 65% or higher academic average. Does the selection process include selection criteria? There are stages to the selection process. Firstly, we ask for your details and CV. The interview is then used to address relevant selection criteria. Do you assess my CV? Although we do not assess your CV as part of the selection process, it is important to submit a professional CV as we provide this to the client. It is also used in team allocation as we take any special interest you may have listed on this into consideration when possible. What are you looking for in the interview? What can I do to prepare in advance? We will provide specific interview preparation information when we confirm your interview registration, including providing the broad topic of each of the two questions you will be asked. There are many resources to assist you on our website. Is there any flexibility with the interview date? Is there an alternative process if I am not available? We will consider this on a case by case basis at the time. If there are valid reasons such as being out of the country on an exchange or an internship for example, we can consider a skype interview. If you are just away on holidays, we would not consider this a good enough reason. Are the questions that are asked in the interview all behavioural questions? Generally, we want you to give us examples of your experience when answering the questions. The tuition fee for this subject is the same as all other management subjects. This subject requires each student team to submit a comprehensive report that is professionally printed and bound. The cost of printing and binding is the responsibility of each team. Students should plan to contribute $20 - $30 each, towards these costs. Can I enrol myself into this subject using the online student system? No, as this is a quota subject, you will be unable to select this subject online. Once selection has taken place, Stop 1 will be advised and they will enrol all students into the subject. When is the timetable information available? Timetable information for this subject is released at the same time as other subjects, however lectures and workshops are always on a Monday. We ask for your availability for client visits which occur once per week during the morning or afternoon from Tuesday to Friday. No, there is only the one lecture and workshop as the subject is capped at 60 students. Do I have to attend the first lecture in Week 1 of the semester? Yes, it is a requirement of the subject to attend the first lecture in Week 1 of the semester. Vital information is given at this first lecture, the consulting groups are formed and preliminary work is started with the team coaches. If you know you will not be available for the first lecture, please do not apply. Can I choose my team mates? Can I choose the company or project? No, you will be allocated to your team and the company with a specific project. We consider a range of factors when allocating teams, such as a balance of disciplines/majors and gender within a team; student availability for client visits; alignment of specific skills to projects and if you have indicated a specific area of interest. What happens if my team can’t meet the client’s expectations? You are mentored through the entire process by the Academic Coordinator and your team “coach”. The level of support you receive in Management Consulting is to a much greater level than you will have experienced in your degree so far. What are the assessment tasks for this subject? Will I have to provide feedback on my team mates? Subject assessment tasks are outlined in the Handbook. No, you will not be required to give personal feedback on your team mates. Information sessions have now passed for the Semester 2 2019 program. If you missed them the presentation slides and handout are available here to download.